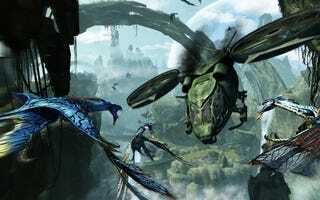 Why Did The Avatar Game Fail? Avatar is the biggest grossing movie of all time. It's video game version is not. It is, instead, a miserable failure. Why? In a keynote at the 3D Gaming Summit in Los Angeles, Wired.com reports that Avatar producer Jon Landau said movie studio Fox did not understand the needs of game company Ubisoft regarding the marketing and making of the Avatar game. Case in point: Ubisoft was not allowed to release an early Avatar trailer. The game ended up getting mixed reviews and, according to Ubisoft's CEO, was released too late. On the upside, the film production team created a digital-asset-management system that helped get art and assets to Ubisoft — and in turn saved months of game development time.